Emerging research suggests that on-site mentors can play an important role in supporting K-12 online learners, yet in practice there is wide variability in what mentoring looks like from program to program. Recently, states like Michigan have expanded online course access programs, accelerating the need for better on-ground support models for online learners. Unfortunately, many K-12 personnel have received little training on what different mentoring models could look like or should look like. In the absence of such professional development, many have simply learned by doing. This descriptive study provides insight into established and successful mentoring programs by way of mentor interviews that highlight a range of mentoring program practices, providing points of comparison for mentors, instructors, administrators, parents, and students in regard to alternative support structures and/or strategies for online learners. Freidhoff, J., Borup, J., Stimson, R. & DeBruler, K. (2015). Documenting and Sharing the Work of Successful On-site Mentors. 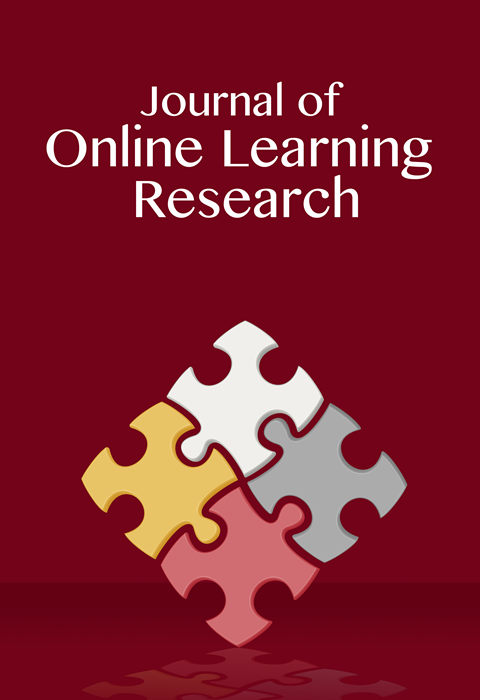 Journal of Online Learning Research, 1 (1), 107-128. Waynesville, NC USA: Association for the Advancement of Computing in Education (AACE). Retrieved April 20, 2019 from https://www.learntechlib.org/primary/p/149918/. Borup, J., Graham, C.R., & Drysdale, J.S. (2014). The nature of teacher engagement at an online high school. British Journal of Educational Technology, 45(5), 793–806. Drysdale, J.S., Graham, C.R., & Borup, J. (2014). An online high school “shepherding” program: Teacher roles and experiences mentoring online students. Journal of Technology& Teacher Education, 22(1), 9–32. Freidhoff, J.R. (2015). Michigan’s K-12 virtual learning effectiveness report 2013-14. Hatch, J.A. (2002). Doing qualitative research in education settings. Albany, NY: State University of New York. Lewis, S. (2011). Local Implementation of Online High School German Courses: The Influence of Local Support on Student Achievement. (Doctoral dissertation). Retrieved from ProQuest (Publication number 3474051). Michigan Virtual Learning Research Institute. (2015). Public awareness and views on K-12 online learning in Michigan. Michigan Virtual University: Lansing, MI. Retrieved from http://media.mivu.org/institute/pdf/publicsurvey14.pdf Moore, M.G. (1993). Three types of interaction. In K. Harry, M. John, & D. Keegan (Eds. ), Distance education: New perspective (pp. 19–24). New York, NY. Queen, B., & Lewis, L. (2011). Distance Education Courses for Public Elementary and Secondary School Students: 2009–10. Washington, D.C.: National Center for Education Statistics. Ragin, C. (1997). Turning the tables: How case-oriented research challenges variableoriented research. Comparative Social Research, 16, 27-42. Ragin, C. (1993). Introduction to qualitative comparative analysis. In Thomas Janoski & Alexander Hicks (Eds. ), The comparative political economy of the welfare state (pp. 299-319). New York: Cambridge University Press. Rice, K.L. (2006). A comprehensive look at distance education in the K-12 context. Journal of Research on Technology in Education, 38(4), 425–449. Roblyer, M.D. (2006). Virtually successful: Defeating the dropout problem through online programs. The Phi Delta Kappan, 88(1), 31–36.